44 alumni plus some of their spouses and love ones had made it to this special event dedicated to the friendship we forged during our formative teenage years some 40+/30+ years ago. We do not need to say more to describe the atmosphere and the feelings of those present (see video). After all we are a bunch of caring and loving ex-schoolmates who treasure friendships and would like to bring back those memories for many years to come. On behalf the organizing committee, I would like to thank for your support and participation. Please help spread the word especially to those are not part of this forum. Until then, we shall meet in 3 years time..... Of course besides your other individual get together, kopi time, children’s weddings, etc. Class79's Cheong Seng, Choon Siong, Soon Hiang, Chin Pin, Peng Hock, Sin Siew, Tiew Siew, Choon Min and their KAGA kakis were having their annual frienship game at Palm Resort on 4th day of CNY. 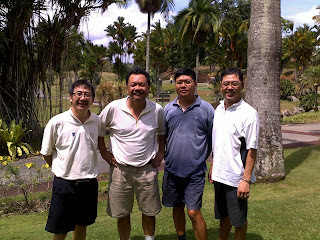 Me, Seong and Ah Seng had a round of golf with Peng Hock @Palm Resort last Friday. It's good to catch up since we have not met Peng Hock at least 20+ years ago. 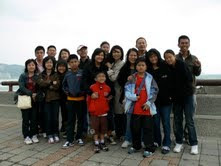 Billy, Sin Siew, Malai Wong and Cheong Seng families were in Taiwan recently for their annual holiday. 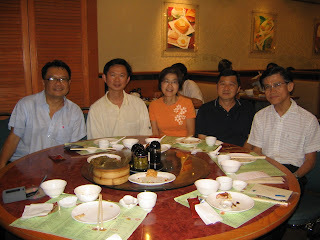 The golf kakis n' spouses were having a farewell dinner @ Bristo Amigo for Jackson Tan new posting to Hong Kong. 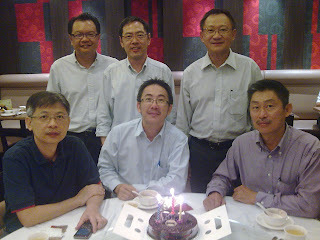 The “Non-Remove” July boys (Mok, Choon Seong, and Soon Hiang) celebrated their 47th birthday at Crytal Jade@IMM. 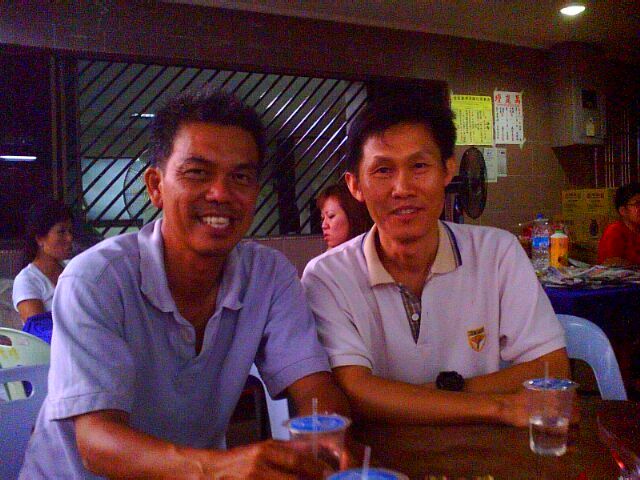 Got a surprise visit from Hiew Woon Thiam, ex-scout, fellow class78 whose father used to sell drink outside SiS. Thiam, currently a telecom consultant based out of Riyadh, Saudi and was dying for pork when he landed in Singapore. 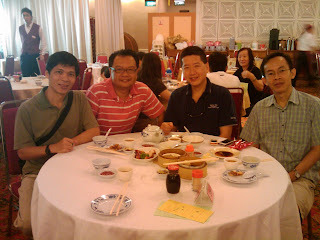 Vincent Tay Yoon Sin(Chinese Society warlord) and Louis Ong Tee Chye(Top boy of class78) were also present for the long lost 30+ years breakfast catchup@ RedStar Restaurant. 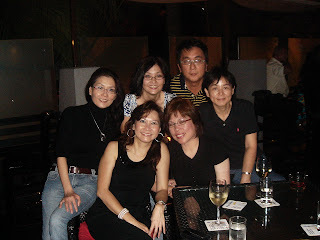 Billy, SinSiew, Cheong Seng, Malai Wang and I have invited our wives to celebrate a Valentine wine and dine on 14 Feb 2009. A rare occasion for most of us who are not that "romantic" and almost forgotten what Valentine meant for us. It turned out to be a pleasant evening with fine France wines, delicious international cuisine, lots of laughter, and feeling goooood. 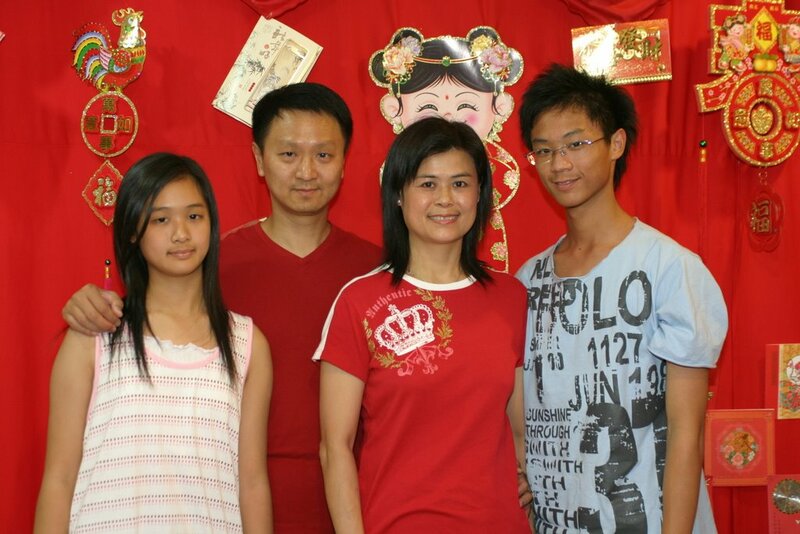 - Double Click on the above pictures -> "picasa web album"
- At "Picasa's Window", Right Click over picture you wish to download and choose "Save Picture As.."
Gong Xi Fa Cai and a happy new year. Greetings from the USA. 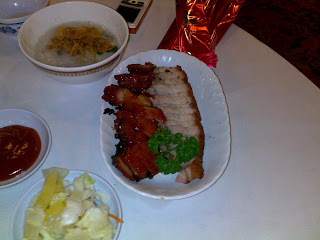 Saw the reunion dinner online and it does sure bring back old memories. Boy, it doesn't seem like that long ago though. I recognised most of them, but there were a few who I have no earthly idea who they were. Guess I have matured quite a bit. 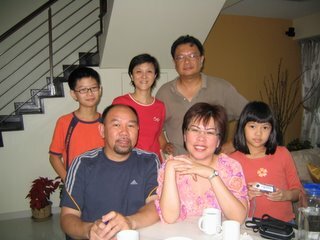 My children and I will be in Malaysia sometime in August and maybe we can play some catchup with old times. My oldest son , Nick,(19) is a sophmore at James Madison University. 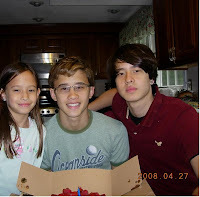 Phil (17) is a senior this year and going to college in the fall and lastly Katie (8) the cherub, is in 3rd grade. Jc, my hubby ,is still working with DOD (DEPT. of DEF.) and enjoying it. I am a full time housewife and enjoying life in general. Whoever reads this, pls drop a line or two and we can start to keep in touch again after 30 years. Also, we live in DC area, and if any of you comes to this neck of the woods, you all are more then welcome to come visit us. Just let us know in advance. Thanks Tiew Siew for doing such a good job online. Kudos to you for your time and effort, and keep up the good work. * Thanks to Baidu's Search and KingLing's Chinese email, we finally get a respond from HoonTeckMing. Well done TeckMing!! Another truly made in Kulai success story who made his name in China. Here’s the one from KL. We didn’t have home cooked food but nevertheless it was great catching up with friends. Seven of us from class79 got together last nite to have a home cooked meal prepared by “the wife” to celebrate the festive season. 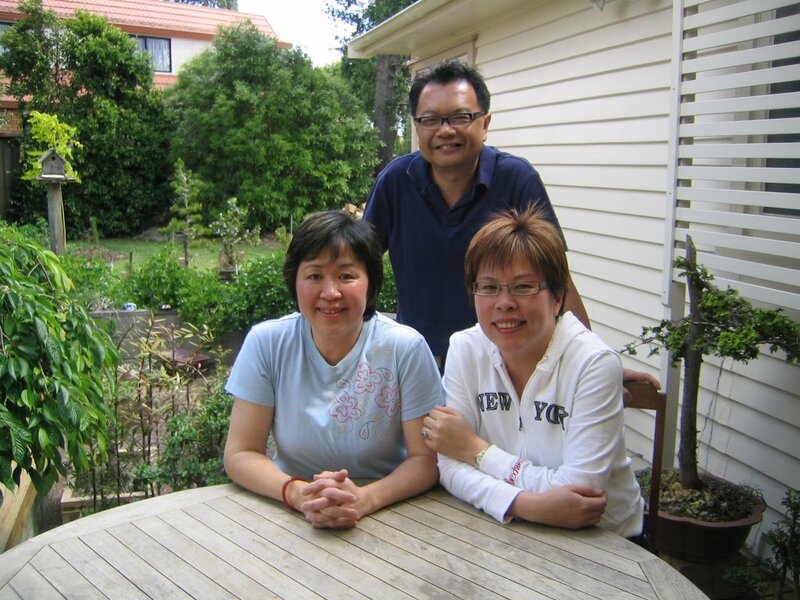 We are glad to have naturalized kiwi Cynthia Cheong LeeYin as our guest of honor this time. FYI, her next stop in KL is on Dec 29th, do contact Kathleen if you wish to meet her. 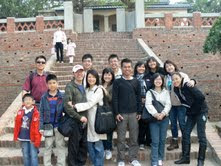 Would like to take the opportunity to wish you guys a merry x’mas and happy 2009. Regardless of whatever faith you are, be it a commercial X’mas Christian like me. * group pic and menu of the nite. I found this picture while doing my spring cleaning over the weekend. 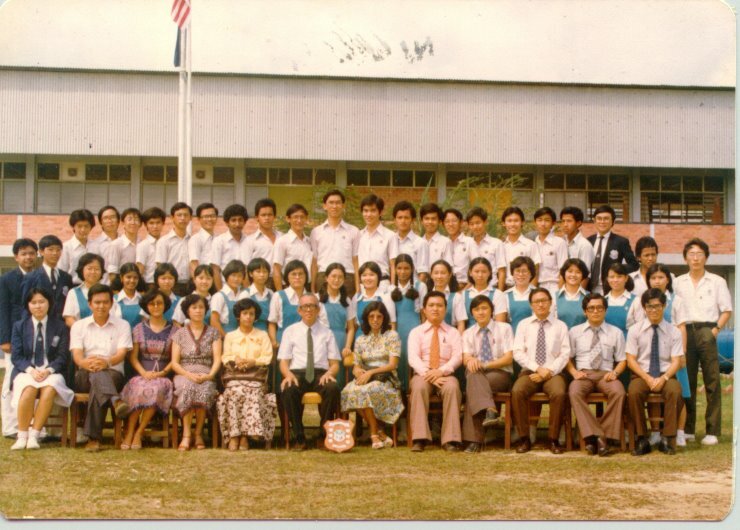 I believe it was taken some times during our lower form time. Me!, Peng Hock(where is he now? 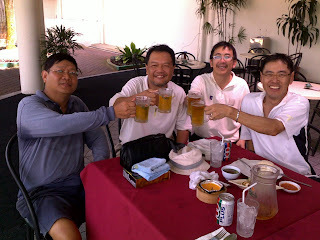 ), Kai Siang(no news either), Choon Siong and Sin Siew. Taking time off from work to catch up with old friend. The last time we met was probably after we left high school in 79. 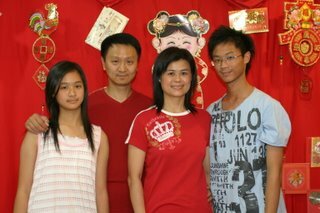 With me were Elaine Chai Chew Yen and her husband Kalen at Wan Chai area in Hong Kong. Am sure I have brought back a lot of old memories to her from Kulai. For those who visit HK next time, I am sure she would be happy to see you guys. She can be reached at +852 9436-1111. It’s a blessing to meet our high school physic teacher after almost 30 years. 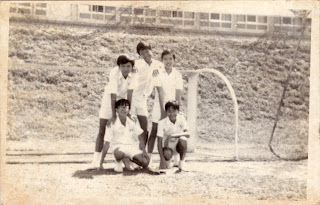 Chai Min Heng is now teaching physic at Naval Base secondary school and is also one of the pioneer BB boys in the late 50’s. 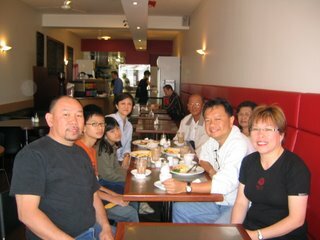 With me at the lunch are Wong Kim Siong (BB 80) and Mr. Tee (BB officer in late 70’s & 80’s) and Mrs. Tee. 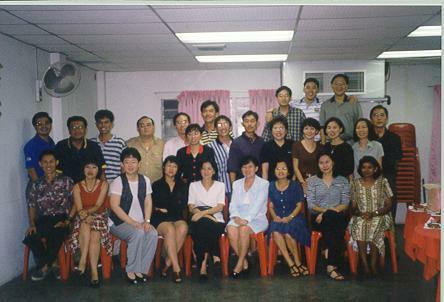 Both are former Math and Biology teacher at SSI and now residing in Singapore. Six gorgeous ladies and a lucky man! 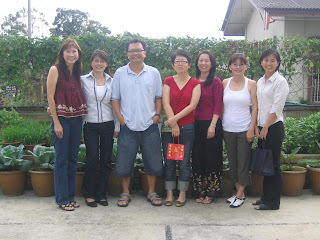 Managed to catch up with the ladies on the 2nd day of CNY @ Kath and Pauline's place in Kulai. Photo taken by "the wife". 12 alumni made it to this year CNY gathering @ malai wong's house. Photos taken by class monitor Lim Choon Seong. I must really embarassed my brother who shared the same bus as I did.!!!! No doubt it was pretty " messy & muddy " affair but most probably most upsetting that my mum had to buy me another pair of shoes. ( as we were very poor). Just told my hubby & daughter abt your e-mail - they thought it was funny. Left Singapore in 1997 after living there for 15 years. 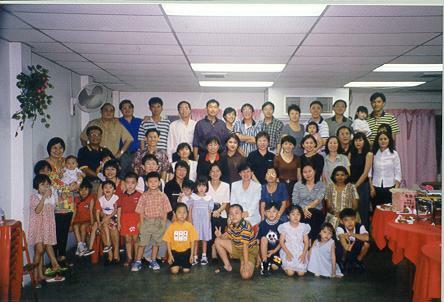 It wud be great too if I still in S'pore since there are so many Kulaian in S'pore. I go back to S'pore/Malaysia on an average once a year. It was always nice to to catch up with Linda Phang when I returned to Kulai. So it was pretty sad when I found out she left this world. I will try to ask my hubby to get a decent photo for our class 79 blog posting. Nice of you to set up the blog. A wonderful opportunity to catch up with old friends. I will be travelling from Frankfurt to Singapore on 25 July and stay in S'pore for 2 nites. Hopefully we can catch up then. 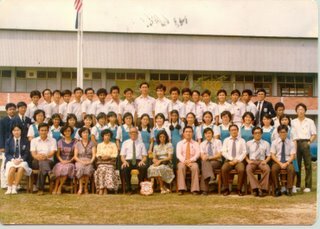 Do send me some updates about you and family and picture for our class79 blog posting. 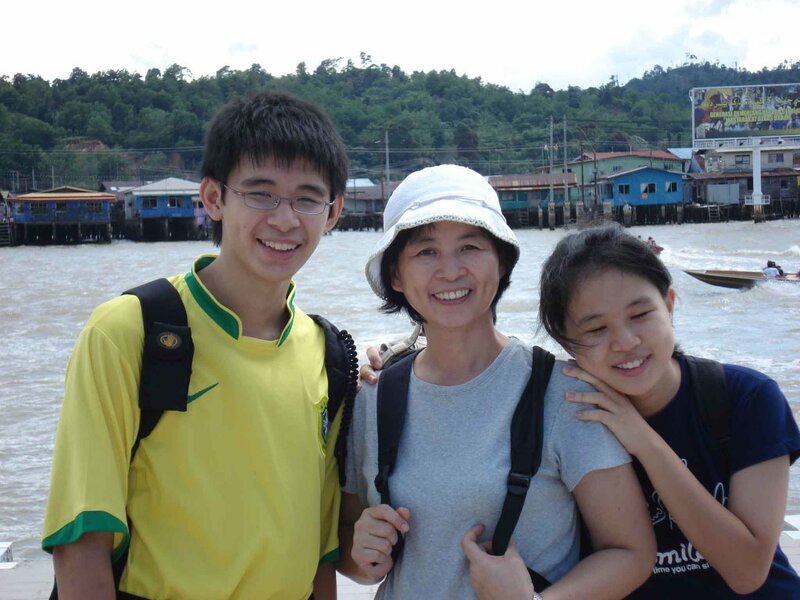 Wang Siew Hang(5B) - Remember her??? Hi! I am Wan Siew Hang from 5B and it is great to know this web-site from Chew Yen ( I met her in KL on chritsmas 2006). It is really happy to know the news about Cynthia, Yet Fah, Boon Moi and others but it is so sad to know that Linda Phang had left us. I am married with no kid (although I have got married for 25 years) and I am staying in Kajang (call me if anyone of you want to eat Kajang Satay). I do keep in touch with Kathleen and Pauline but they never tell me about this web-site. Don't ask me how I get hold of her since I last recall seeing her is about 20+ years ago shortly we left Kulai. Now you know who you can call to "yam cha" when next time you are in Hong Kong. I am sure she can show you the finest dim-sum place in HK. Attachment is my family photo taken in Kulai during Chinese New Year2005. The desperate housewife after all is indeed a happy mother and wife. 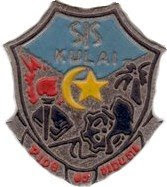 thanks for updating the kulai blogsite, it's nice to see some of our long time no see friends! Having a big breakfast at College Hill Cafe before setting off our journey to the south. Sam(tukang masak) and Cynthia has being running their own cafe for the last 4 years just outside CBD of Auckland. Anyone who visit Auckland next time do stop by for a "home away home" meal at College Hill. They do serve laksa(johor type) other than the "angmoh" food. 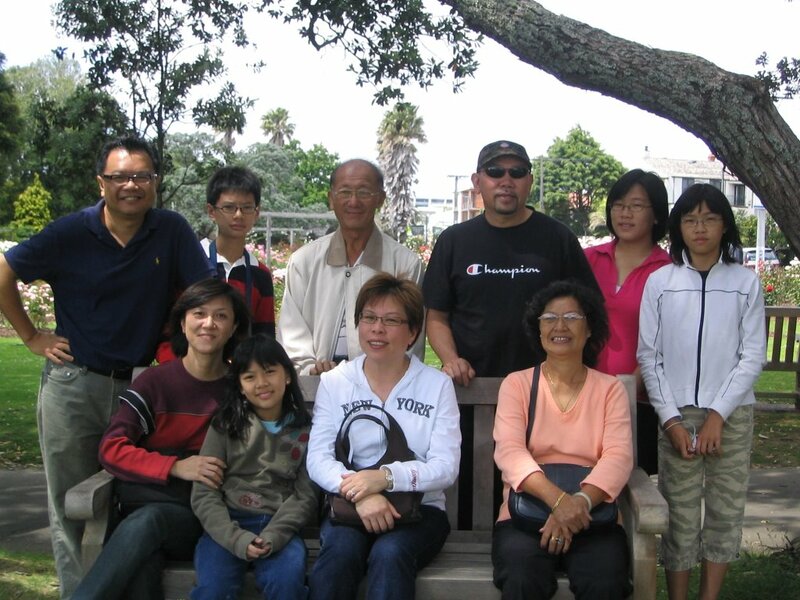 Visiting Auckland with the family since yesterday and Cynthia and family came down to our hotel and showed us around the city's beautiful and magnificent sites. We spend some time catching up and guess what? 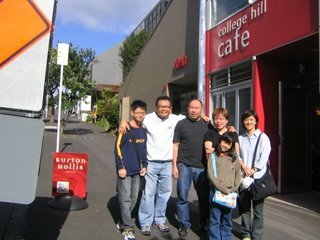 She brought us to the home of one of our school mate at suburb of Auckland. She is from 5B, and the last time we met was 26 years ago. Thanks god that our face DNA blueprint still intact and recognizable even though the size/shape might not the same as 26 years ago. Her eldest daughter already graduated from University. She is Tan(ex Chai) Buoy Lan sitting on your left with Cynthia and me at backyard of Buoy Lan's home. Cynthia, Sam and their two daughters Julia and Jasmine. My family, the wife Michelle, Dylan and Samantha and my in-laws. This space is reserved to mothers who are slaving themselves raising up kids in the demanding urban jungle....akan datang..
Tee Swee Ping § Assistant Director (Arboriculture Streetscape West) §National Parks Board, not sure what it meant but for sure got nothing to do with mathematics. I now know why I did not do well for my Form5 maths. I have an impromptu coffee chat with him last Friday. The last time I met him was about 16 years ago when I was on holiday back from the US. His office at Gateway West happens to be located next to my client’s office that I frequent weekly. Mok’s office also around the proximity and I believe Billy’s too. His department will soon be relocating back to their HQ at the Botanic Garden. Do pay him a visit next time when you are at the Botanical Garden. All these while he has being working for the "garmen" of Singapore, iron rice bowl, unlike my which was made of porcelain and vapourware broken many years ago. 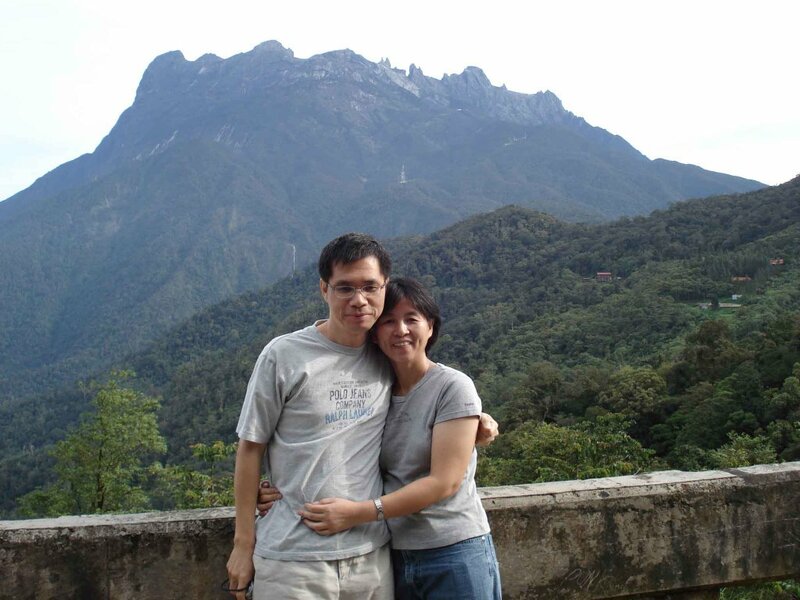 His wife is teaching at a high school somewhere in Singapore, so is our physic teacher, Mr. Chai, according to him! Don’t be surprise one of these days if you bump into your former teacher at your kids’ parent session. 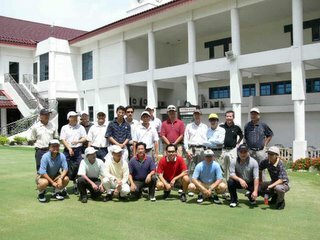 The Kulai Ah Beng golfers met again on Wednesday, 25th January 2006 at the Jurong Country Club. Green speed is 8.526....very the fast. Fairway is superb and weather is sunny. 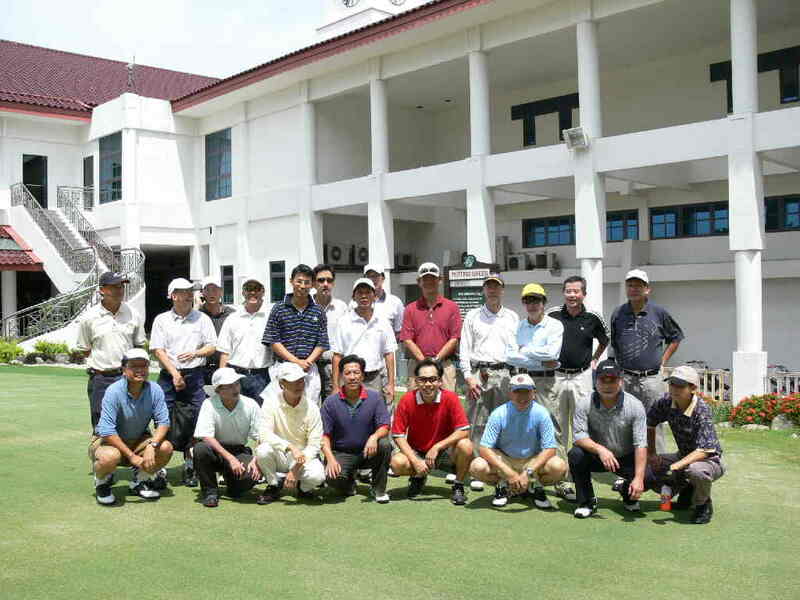 18 golfers, about half are from Kulai teed off at 1PM. We adjourned to JCC Ban Heng Restaurant for a get together dinner where awards were presented by organizers Billy and Jackson. This year our “marathon” man Jackson Tan (Chin Pin) went home with the KAGA2006 trophy. Wonder when he will stop winning. Biggest buaya went to KC Lim. I got a bottle of Australian vintage wine (hand carried back from the downunder according to the sponsor) that labeled most hardworking??? 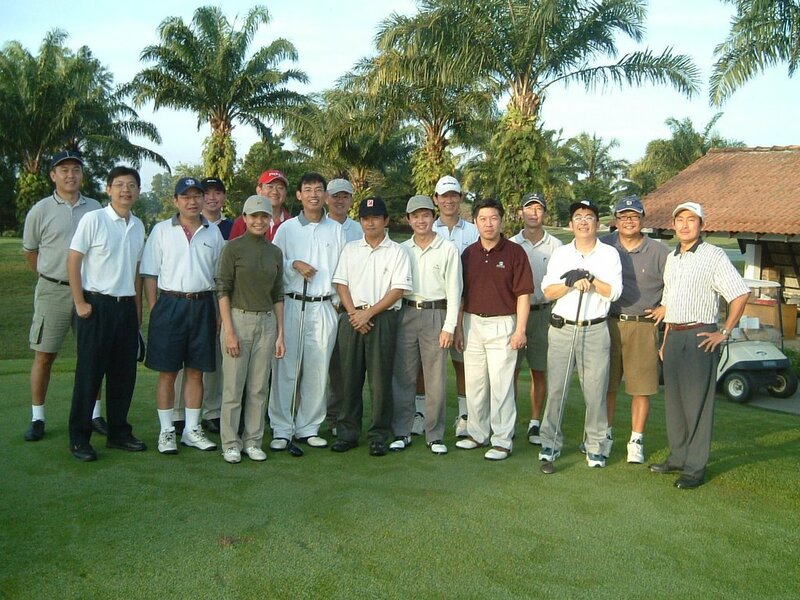 Non golfer… it’s a reward for “value for money played”, hit the most strokes! Yes our dear friend who passed away was Linda Phang. She passed away last August 04. I visited her in March 04 when she had just completed chemo and looked good and motivated ( appeared to me at least). August 04 my family in Kulai read the obituary and called me. I could not make it to attend the funeral and I was very affected by her departure afterthat. She had breast CA. Apparetly a relapse which had affected her brain months later. I thought I would send a message to those whom I still have the email addresses sometimes later but somehow this has been delayed. For those who read this please check yourself ( or your wives )yearly because the strike rate for breast CA is very high. Last year alone I have 3 friends in Singapore who diagnosed with breast CA. 2 relapses,1 passed away in December. Another tragic one was an ex-colleage who suffered from depression after the wife got breast CA. He commited suicide while the wife was still undergoing treatment. Be it good news and bad news let's share it as a reminder to us and treasure our love ones around us always. We are blessed to be around sitting healthily to wish each other good health and may this be a tradition for many more years to come. My best wishes to all - good health and go xi fa cai!